These sounds of Nature rouse the Ancient Knowing that we are part of All Life. Each one of us built of Earth, sharing the atoms that built our ancestors and that will be build our descendants. Endlessly recycled, the Wisdom that Creates All Things, has created us. Every single cell of our being is constructed of this Wisdom. Our bones, our blood, our guts, our Hearts. This Wisdom is intrinsic to us and it is the quiet voice, no louder than a Heart beat. It is the yearning, the longing to belong, to feel at home here and to be powerful enough to make a difference. It is the knowing in our Hearts that a Kinder way is possible. It is really only two things. Caring for Earth and caring for each other. 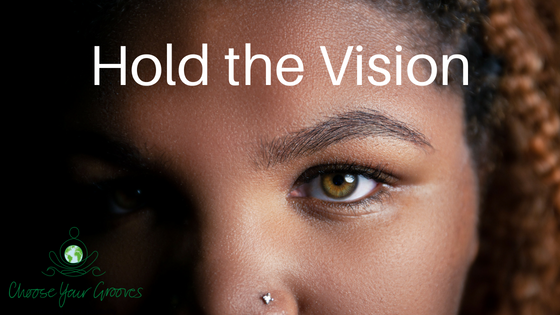 I believe there are those of us who are called to be Vision Holders. To hold steadfast, vigilant and clear, under every circumstance to the Vision and the feeling, the feeling, of the Vision of the world our Hearts Knows is Possible. An Earth where we live with love and respect for care for Earth and each other. The world where every body has enough. To step into the imagination of this world, to feel the vibration of the feeling of this world. To give thanks for this journey, our evoultion, is to send a new viration out into the world that will return manifest. We have the opportunity to be energy transformers. Thank you for your attention and focus. You are a powerful force. You are a powerful force and together we are a powerful team. Please share with your friends that we may hold the Vision together.